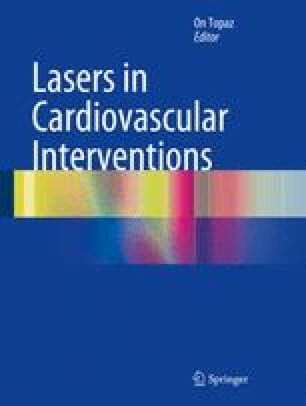 Transmyocardial Laser Revascularization (TMR) is an approved treatment of end stage coronary artery disease. Explanation on how TMR improves symptoms is currently unknown although myocardial angiogenesis and denervation are considered as possible mechanisms. In this study, we investigated the potential preconditioning effect of TMR in a model of myocardial ischemia/reperfusion injury. It has been suggested that laser phototherapy causes accumulation of safe levels of ROS, which may potentially trigger protective signaling leading to accelerated healing. Considering the essential role of reactive oxygen species (ROS) in ischemic preconditioning (IPC), we hypothesized that TMR procedure could potentially trigger cardioprotection via generation of ROS. The studies were performed in a rabbit model of myocardial ischemia/reperfusion injury. Our results showed that TMR triggered cardioprotective effect similar to IPC which was responsible for significant reduction of infarct size both acutely as well as 24 h after TMR. Interestingly, such infarct limiting effect was abolished when rabbits were treated with an intracellular antioxidant suggesting that ROS are important triggers of cardioprotection. These studies suggest that in addition to angina relief, TMR also helps in salvaging myocardial tissue following ischemia/reperfusion injury. Further studies are necessary to delineate the signaling mechanisms and cardioprotective target proteins that may be synthesized in response to TMR. This research was supported by the National Institutes of Health Grants R37 HL51045, R01 HL 59469 R01 HL79424, R01HL93685 and R01 HL118808 to RCK.